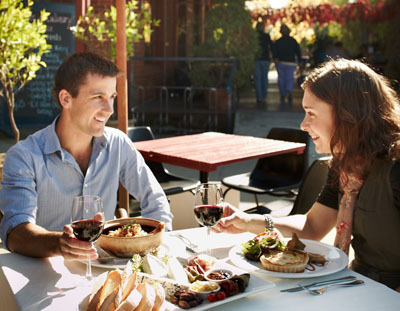 There is plenty of local produce and wineries waiting to be discovered in Milawa and places to eat for breakfast, lunch and dinner. 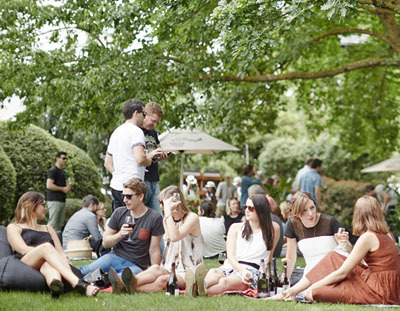 Milawa is well known as the home of Brown Brothers Milawa Vineyard, established in 1889. 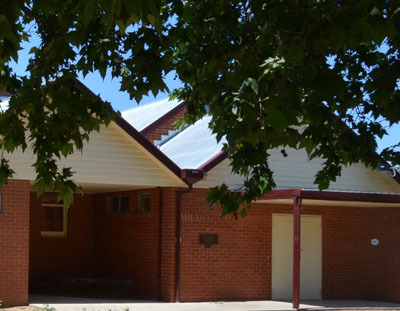 The Milawa Community has a number of active community groups, including the Milawa Rural Fire Brigade, Milawa Hall & Park Committee, Milawa Markwood Development Association, Milawa Recreation Reserve Committee, sporting clubs and more. 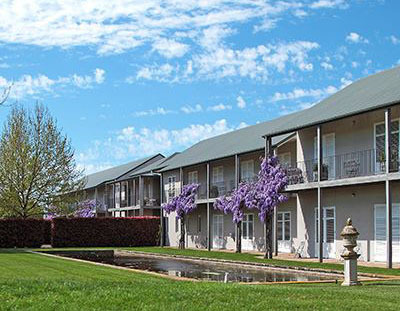 There are a number of places to stay in Milawa including Lindenwarrah Country House Accommodation, Milawa Motel, Milawa Muscat Retreat, Milawa Central and more. Welcome to the community website for the township of Milawa, Victoria. 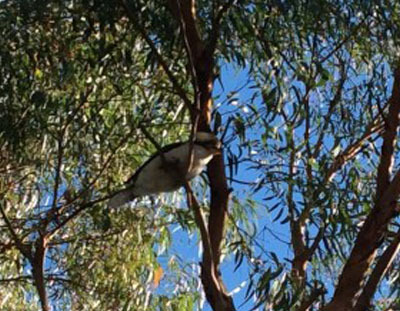 Milawa is a thriving semi-rural community of approximately 600 people located just south of Wangaratta. 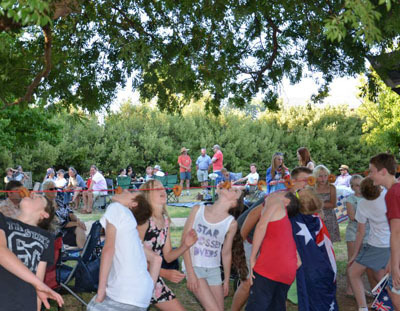 It is worth a a visit for wines tasting at Brown Brothers, cheese tasting at Milawa Cheese, mustard tasting at Milawa Mustards, honey testing at Walkabout Aparies and more! 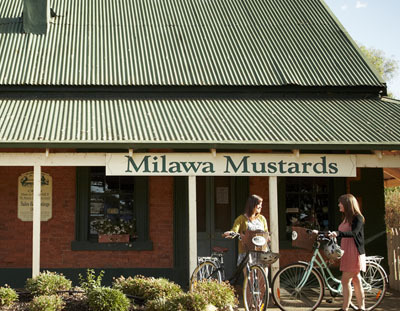 Milawa is at the heart of the renowned Milawa Gourmet Region and King Valley Wine Region. 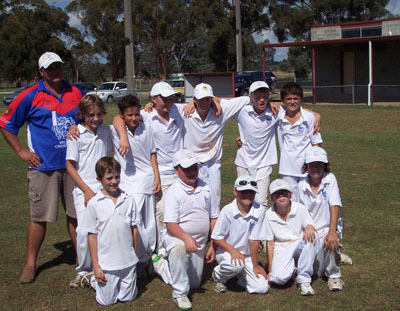 The town has many active volunteers, making Milawa a great community to live in. If you have suggestions for content for the website, please email us at milawacommunity@gmail.com. Taste your way around this gourmet delight, visit a gallery or jump on a bike. 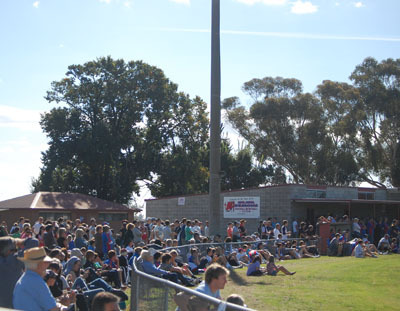 Home to the Milawa Football, Netball, Cricket, Bowls and Tennis Clubs. 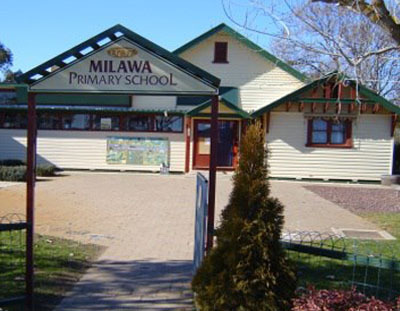 Milawa Primary School offers students a personalised approach to learning and each student their own individual learning plan. 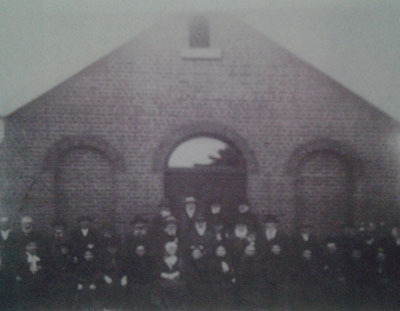 The Pangerang/Bangerang people, a nation of sub-clans, occupied much of what is now North Eastern Victoria. 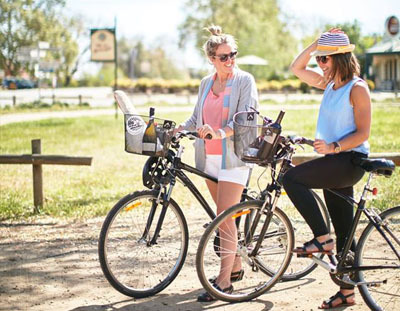 Enjoy a leisurely pedal to produce experience in Milawa. Cycle between cheese, honey, mustard and wise tastings.